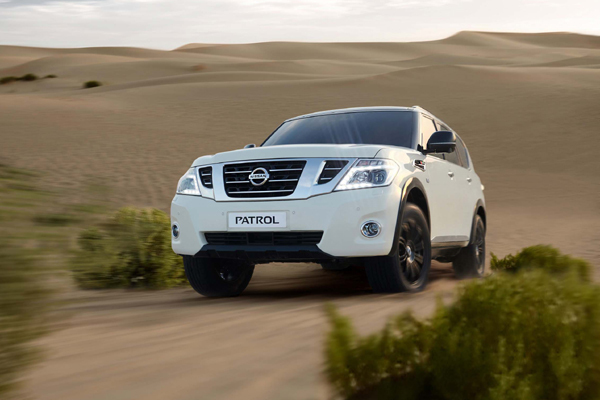 Al Masaood Automobiles, authorised distributor of Nissan in Abu Dhabi, Al Ain and the Western Region, has revealed the latest limited edition of Nissan Patrol V8, the ‘Al Dhafra’. The modified limited edition model presents an exclusive range of interior and exterior features inspired by the UAE heritage, said a company statement. The ‘Al Dhafra’ edition is inspired by the desert and the life of Bedouins with only 100 units available, custom-made for Nissan Patrol V8 enthusiasts who are keen to own an exclusive model. The brand has been one of the best-selling vehicles across the country known for its strong combinations of luxury, power and resilience in the desert, thus making it one of the most popular luxury car choices among Emirati drivers. “As a proud national dealer, we continue to innovate while fully embracing the culture and rooted traditions of our loyal customers. This latest edition further accentuates the strength of the Nissan Patrol V8 and pays tribute to the loving region f Al Dhafra which a symbol to the past of the UAE and is presently a hub for development and is undergoing a series of transformations telling the story of Abu Dhabi and the Western Region,” he added. The Nissan Patrol V8 Al Dhafra edition has several authentic exterior design features—including a new and exclusive white colour paint mixed only for this edition offering red and green colour reflections while some of the body parts such as fenders, roof rails, roof wrap, mirrors and front and rear diffusers reflect a piano black colour—all inspired by the colours of the UAE flag. The 20” chrome custom wheels also gives a shining black color that stays even during safaris and desert adventures. The vehicle also sports a UAE flag on the side vent, which gives the car an elegant heritage look and a sense of belonging and patriotism to the UAE for its owners. The vehicle takes much of its look and features from Al Dhafra, which is the western regional area of the UAE. Al Dhafra is also widely recognised as a key point where the desert meets the sea, blessed with hundreds of kilometres of coastline and pristine beaches across a backdraft of ancient forts and stunning landscapes – a specially designed Al Dhafra logo badge is placed on the sides and rears and embossed on the front seat headrests. The colour of the custom leather seats is inspired by the shades of the sand in Al Dhafra region. Other eccentric features for the car include the Alcantara Starlight Roof displaying the star constellation and a range of the latest technologies that add comfort and entertainment for the whole family such as soft door closing, wireless charger, side power step and a 10.1” rear seat display system which completes the car as an ideal home for families with children to keep them entertained throughout the ride. In addition, it is equipped with luxurious soft and thick floor mats with sand wind effect to help keep the car protected during desert excursions while making sure the car is easy to clean.